With the relatively new release of The Witcher Two: Assassins of Kings, we decided it would be great to compliment this release with game fixes for it! Many PC users are excited to know that the gameplay is just as fun as before. It will be coming to Xbox 360 and Playstation 3 (PS3) accordingly. This game IS with errors, such as those that come with performance degradation or black screens, but once you move passed those and troubleshoot them, this game is gold. Follow our guide the best you can to help play this game as it should be — perfect and without errors. That’s not say it’ll solve the possible memory leak issue, but it’ll help. — Turn off Uber Sampling / UberSampling! This is especially not necessary if you do NOT have a crossfire / xfire or SLI setup! — Download the latest and greatest drivers, as they generally provide frames per second (FPS) / performance increases (you can even try the beta drivers if you’d like) and bug fixes that help tackle other issues, such as black screens or graphical artifacts / glitches. The NVIDIA beta drivers apparently help increase the FPS rate by 20 or so FPS, though this is not necessarily the case for everyone. There will be patches released for this game to help tackle some of the performance and compatibility issues, but until then you’ll have to give it a shot yourself. Note that when lowering things like textures and so forth, you may notice next-to-no difference at all so you gain performance with minimal loss in graphics. You can always use someone else’s save file if you’re having issues, such as one posted HERE. This seems to be happening to some people. currently, we’ve got no good solutions for it — just the usual suggestions of disabling your firewall and so forth. If anyone has some ideas, feel free to comment! This is for actual CD or DVD copies of the game — those of you who bought it through retail rather than through Steam. There’s not much you can do other than trying to return the game and exchanging it for a new copy. Sometimes it could just be your DVD / CD drive though, so be sure first before returning the game or exchanging it! There is an ATI Hotfix currently being created for the Witcher 2! It’ll help provide performance increases. More information can be read HERE. This fortunately doesn’t seem to be overly common…But there are some ways to tackle this problem and fix it! Later patches will generally help solve these problems, but until then, just try the above suggestions. Lowering the game settings does fix it for some people, and there generally isn’t too huge of a difference in graphics. — Sometimes these issues occur when using 7.1 speakers or headphones / headsets…Running in a 5.1 configuration or even a 2.1 normal stereo configuration may help. Note that you should try these steps one at a time and for those that require meddling with your computer’s audio settings, be sure to revert them back to their normal state if they do not fix the problem. Locate your user.ini and change the smoothness=1 to smoothness=0. Alternatively, if you have a mouse that supports DPI modifications, then change your DPI that way if desired. You may want to change the default keys used for the game. While the launcher allows you to change them through there, it will not let you change the arrow keys or some other keys. 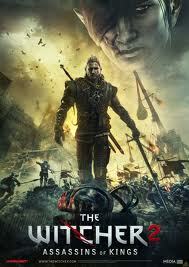 You can force this change, however, by modifying the users.ini file (My Documents\\Witcher 2\\Config\\users.ini). On line 69 is where all the fun begins. Rather than reinvent the wheel here, a very good thread on doing the remapping has been created HERE. Be sure to (A) Exit the game entirely (including the launcher) before doing this AND make a backup of your users ini file. This entry was posted	on Thursday, May 19th, 2011 at 1:18 AM	and is filed under . You can follow any responses to this entry through the RSS 2.0 feed. You can leave a response, or trackback from your own site. Where can i find the movie.3dm file?